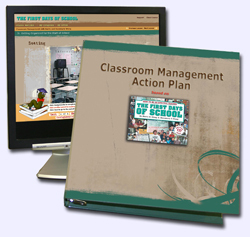 Melissa’s plan of success for her students begins on the first day of school with a PowerPoint presentation of her classroom management plan. Click here to see Melissa’s first day of school PowerPoint presentation. The presentation gives her students introductory information on herself—both as a teacher and an individual—and the classroom procedures. 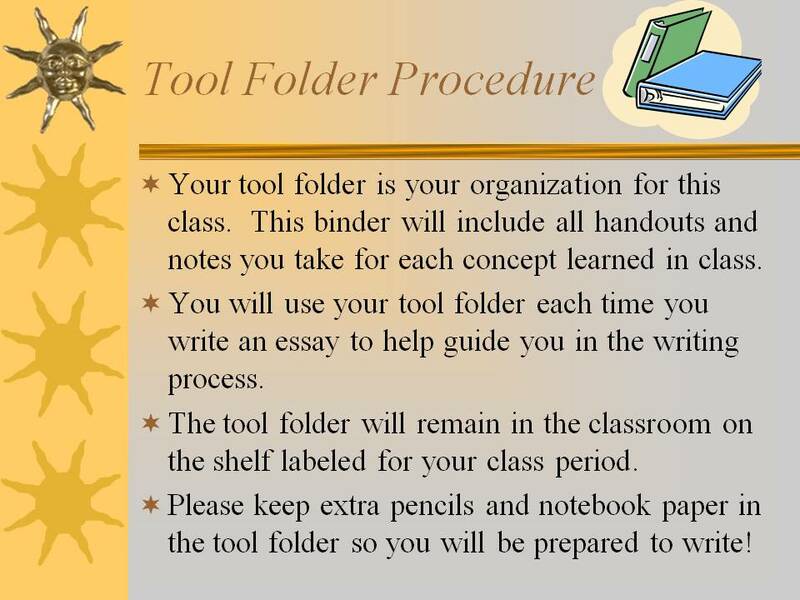 The two crucial elements of organization in her classroom are The Big, Red M and the Tool Folder. 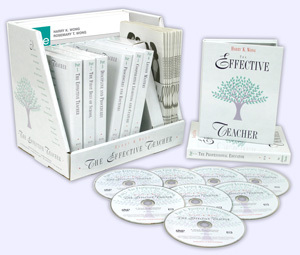 She teaches students how to organize their work and their lives so that they can devote their time to learning. On the first day of school, students learn the procedures for entering Melissa’s classroom. They fall into the classroom routine once they cross the threshold of the door. They don’t wait for the tardy bell to ring. They get right to work. 1. What do we need for class today? 2. Are we doing anything today? Prior to the tardy bell ringing, the students sharpen pencils, turn in work, obtain materials for class, and begin their bell ringer. 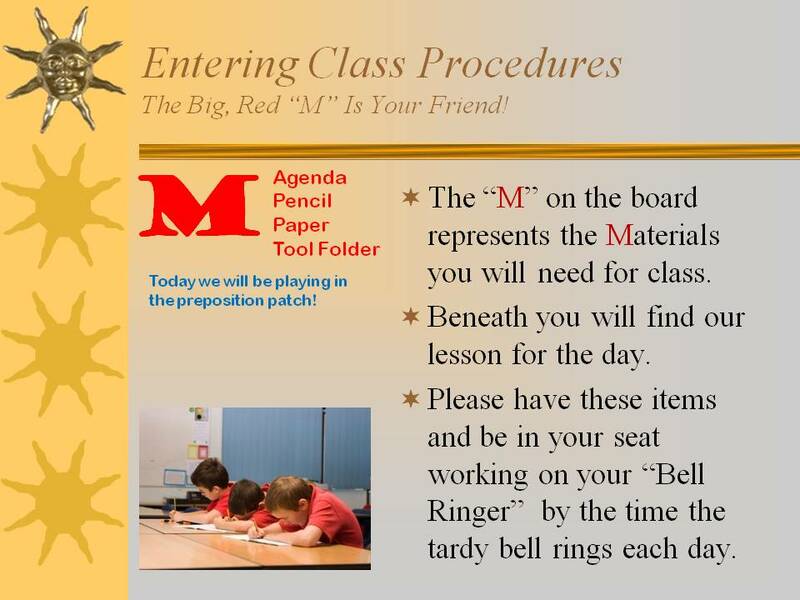 (Melissa’s bell ringers are Daily Oral Language, Sustained Silent Reading, Higher Order Thinking Puzzles, or Journal Writing.) This allows Melissa time to greet students at the door and monitor the hallway. Students continue working on their bell ringer until Melissa has taken attendance and begins to teach. 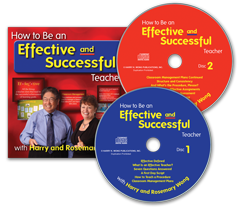 “With procedures in place, teaching feels natural and almost easy. I set boundaries that enable my students to build their own powerhouse of accomplishments,” says Melissa. Melissa strives to make her students feel safe and relaxed, and emphasizes that it is all right to ask questions. In Melissa’s classroom, there is peaceful music playing, as well as a 75-gallon fish tank that soothes students through visual and auditory stimulation. There are also blue lights that decrease glare and help students with Irlen syndrome, a perceptual problem that prevents an estimated 10-12% of the population from being able to learn, read, or study efficiently. See www.irlen.com for more information. 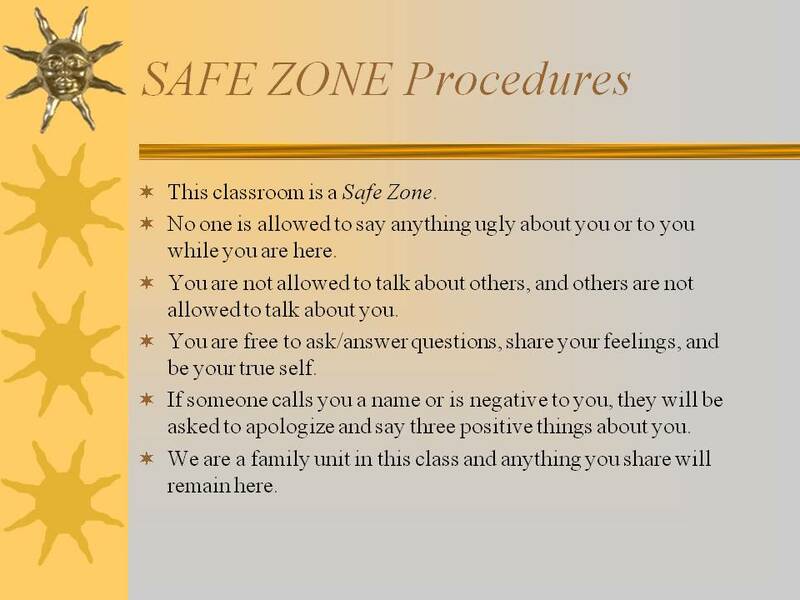 There is a large sign on the wall that indicates that the room is a “Safe Zone.” The Safe Zone concept is elaborated on at the beginning of the year: The children are safe to express themselves, ask questions, and be the twelve-year-old children that they are. This concept catches on quickly: “I can’t tell you how many times I have heard students say, ‘You can’t talk to me like that, this is a Safe Zone!’” says Melissa. The offending student must then say three nice things about the person they offended. This stops the insults and gives students the opportunity to stand up for themselves and others—knowing their teacher will back up them. Melissa’s teaching team meets frequently. They have lunch together daily to discuss the children, cross-curricular opportunities, and ways to improve both the children’s education and the teachers’ teaching. 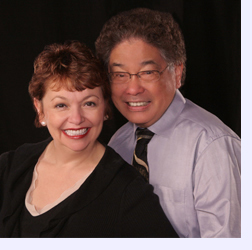 They are committed to creating a cohesive plan of action. Melissa has a philosophy: “I work at being a leader of leaders. 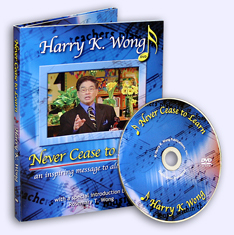 If it falls within my areas of strength, or if something affects me professionally—I am involved. If I can make a positive difference through my talents and knowledge for my students—I am involved. “I have the mindset that if I want to voice my opinion about what works and what could work better, then I need to be willing to jump in and join the ranks of the Difference Makers. “The Difference Makers are the ones who are busy. They are always studying, researching, and looking for new ways to raise student achievement, create a better school climate, and make what we do as educators more efficient and effective. Melissa believes children must know what is expected of them in order to complete an assignment successfully, and considers scoring guides or rubrics an important aspect of her teaching. 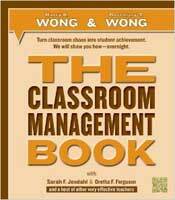 “For writing, I use a rubric that I obtained from a Writing Academy Workshop I attended. It is based on the state writing rubric, but in a language the children can comprehend. 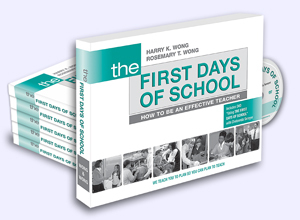 I use the free RubiStar tool (http://rubistar.4teachers.org/index.php) for all other rubrics that I need to make for other projects or activities.” See The First Days of School, Chapter 23 for more information. Melissa also provides support for her students through a webpage on her school’s site that includes the syllabus, classroom procedures, and useful links. These are posted in English and Spanish so students and parents have easy access. Click here to see Melissa’s classroom webpage. Perhaps some of Melissa’s passion stems from her non-traditional beginning. “When I graduated from high school, I got a job with a bank making $800 a month and thought I was ‘in the money!’ I married, had three children, divorced, and found myself in a pickle. Thank heavens for the Habitat for Humanity home,” says Melissa. Habitat for Humanity gave Melissa ’s family a “hand up” in the form of a home which the family put 300 hours of “sweat equity” into building. Melissa took the hand up seriously, and returned to college to pursue her childhood dream of becoming a teacher. Just one semester after graduation, she began teaching with an emergency certification—she had only taken her pedagogy state exam at that time. “Sadly, ten days later, he passed away. Last year, Melissa had a student whose father did not value education. The student’s behavior and academic dedication were poor, and he claimed he would drop out of school as soon as possible. Melissa had a conference with his mother and worked on developing a relationship with the child all year—loving him when he did not want to be loved, lovingly scolding him like he were one of her own, and telling him she would never give up on him. “Always, positive, positive, positive with him,” says Melissa. When it came time for the Writing TAKS (Texas Assessment of Knowledge) test, the administration allowed the children to stay until they had completed the test. This child stayed till 5:30 pm! “I am happy to report he passed the TAKS test. These are the intrinsically rewarding moments that keep me going. 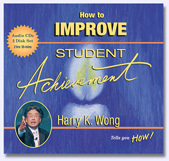 That, and my undying desire to see 100% of the students pass,” says Melissa. because it is a job. 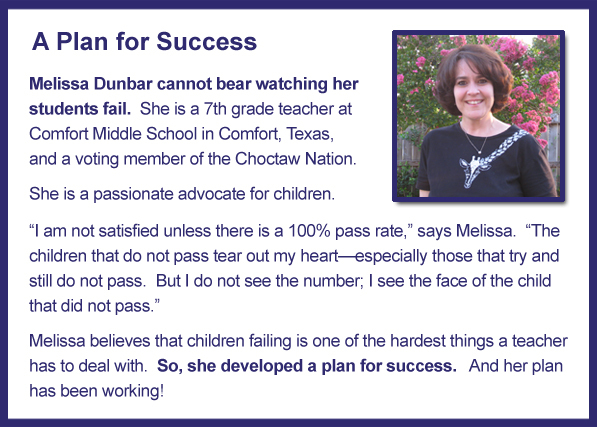 Melissa Dunbar is the difference in her students’ lives. She is forever committed to children and their success. The new school year is close at hand. As teachers we can close our eyes and hear the footsteps of children trudging through the hallways hoping they will end up in your classroom and you will be that one teacher . . .
IS the difference in theirs. Choose to be the difference in your students’ lives. Wishing you a school year filled with hope and dreams come true for you and your students.